Efforts by the major opposition political parties in Saturday’s governorship election to present a common governorship candidate may have hit a wall. 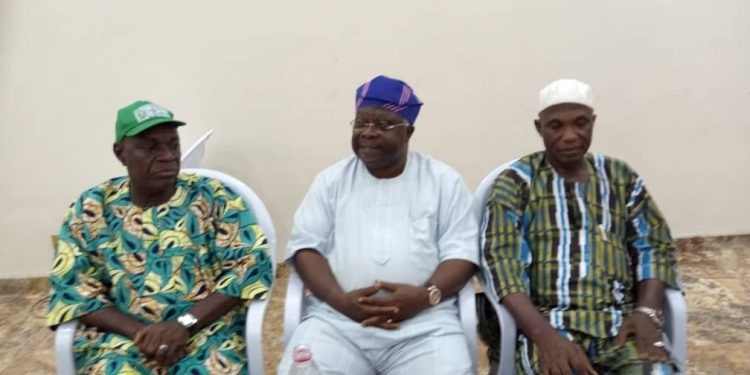 The governorship candidates of the Social Democratic Party (SDP), Senator Iyiola Omisore, African Democratic Congress (ADC) Fatai Akinbade and Action Democratic Party (ADP) Moshood Adeoti met on Wednesday evening in Osogbo to discuss a merger. The meeting which held behind closed doors, Bounce News gathered, lasted till Thursday morning and the three candidates agreed to address a press conference but only Omisore showed up. Both Adeoti and Akinbade did not show up for the press conference held at the Nigerian Union of Journalists (NUJ) press centre, Osogbo and no reason was given for their absence. Omisore while addressing the press one hour after he had waited for the two other candidates stated that the three political parties share different political ideologies, hence, the inability to merge. Wednesday's meeting between the trio created confusion among their supporters. Many of them had thought that two of three candidates had agreed to step down and support Omisore. The confusion neccesitated Adeoti and Akinbade to issues statements that they were still in the race. WATCH: DEAR LAGOS DAD, ARE YOU SURE YOUR CHILDREN ARE REALLY YOURS?